Samsung launched the new Galaxy J2 (2016) recently for a price of ₹9,750 featuring TST (Turbo Speed Technology), Smart Glow, and S-bike mode. The main highlight of this 5-inch handset is the Smart Glow which is basically a LED ring around the rear camera that glows at incoming notifications. The handset also comes with a Super AMOLED display. 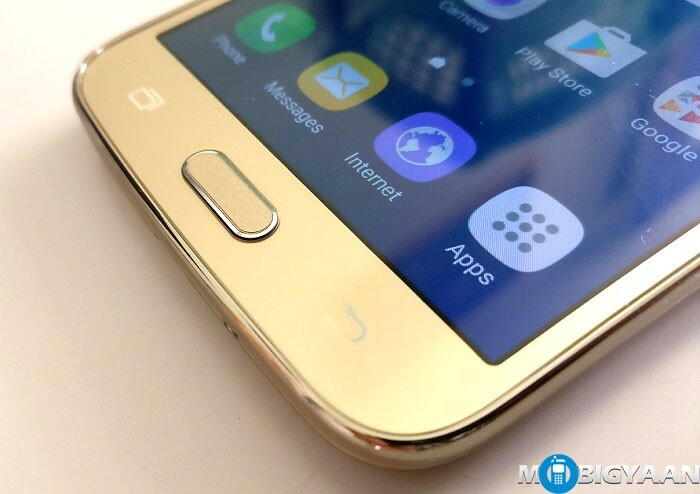 We got the device and here are the hands-on images of Samsung Galaxy J2 (2016). One of the main reasons why it keeps me interested in the Samsung Galaxy J series is their AMOLED display. 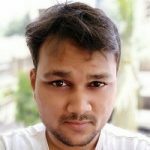 No matter what, I have seen many smartphones but only J series wins in the display quality. Although, its tempting 5-inch display may not be crisp due to its lower resolution (540 x 960 pixels) but the quality of colors and contrast is the best in this price range. 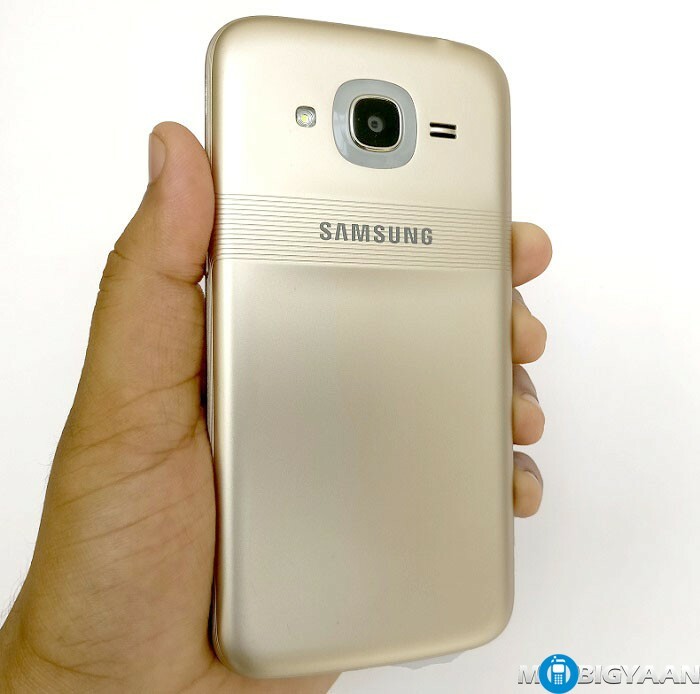 The design on the Galaxy J2 (2016) is somewhat upgraded from the old Galaxy J2. 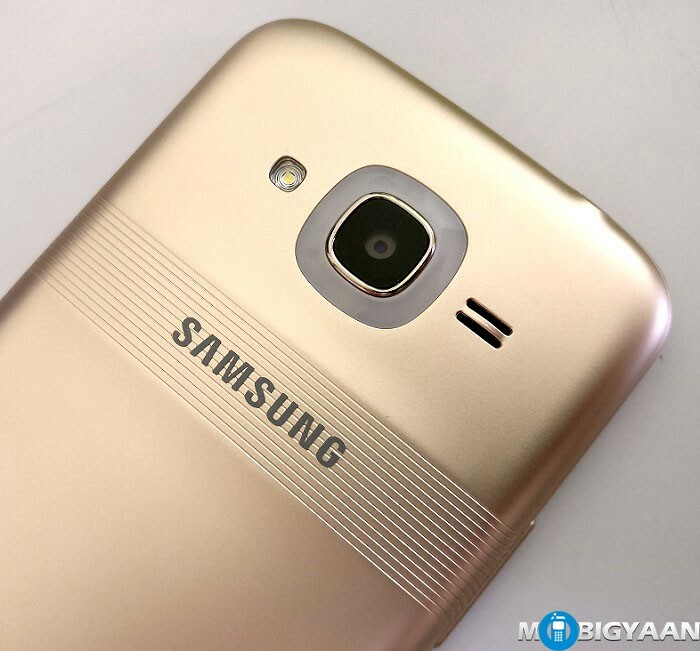 The new Galaxy J2 (2016) comes with a matte-finish patterned back while retaining the chrome bezel on the front side. The smartphone is powered by a 1.5 GHz quad-core Cortex-A7 processor from Spreadtrum SC8830 chip and 1.5 GB of RAM. Moreover, you get an 8 GB onboard storage which can be expanded using MicroSD up to 256 GB. The specifications on paper sound mediocre and are below the competition level which is going on in this smartphone era. It doesn’t have an ambient light sensor that means you have to manually adjust the brightness and no auto brightness is available on the phone. 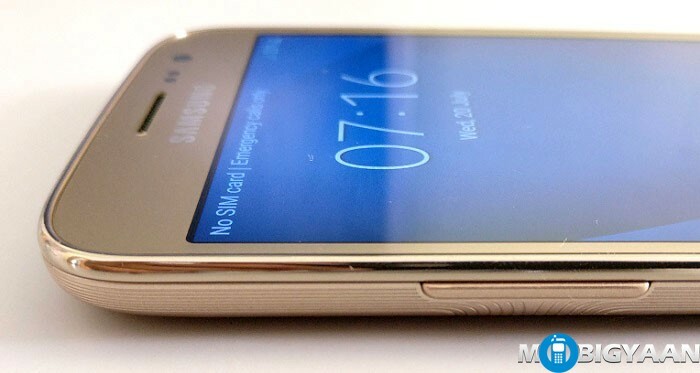 As usual, the budget phones from Samsung does not provide backlit touch buttons. 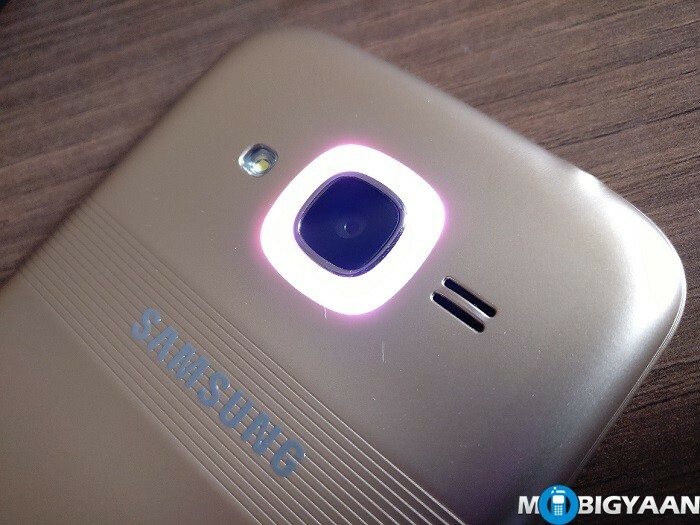 A new feature that Samsung has introduced in the Galaxy J2 (2016) is the Smart Glow. When a notification popups up, the ring around the camera gleams seamlessly. The Smart Glow notifies you about any notifications appeared and let you stay updated. You can choose your favorite color and assign different colors for the apps that notify you. Another feature you might have heard from the launch of the Samsung Galaxy J3 (2016) is the S-bike mode. We have shown how it works in our S-bike mode overview post. Another feature J2 (2016) offer is the TST (Turbo Speed Technology). With TST, the native apps are optimized to run faster, and the background apps are optimized to quit if no longer be used to free the RAM, sounds similar to the Doze feature in Marshmallow. 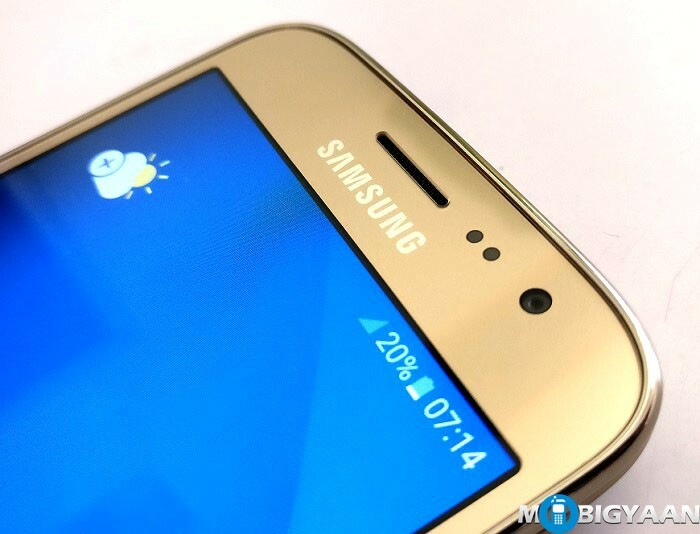 Samsung claims that the loading time of the apps will be 40% faster due to TST technology. For the cameras, there is an 8 MP autofocus rear camera with single LED flash that can record up to 720p video recording. These days recording 720p videos is below average and at least the camera should record 1080p. The front camera is 5 MP. The 2600 mAh battery can be removed easily by gently opening the back cover. 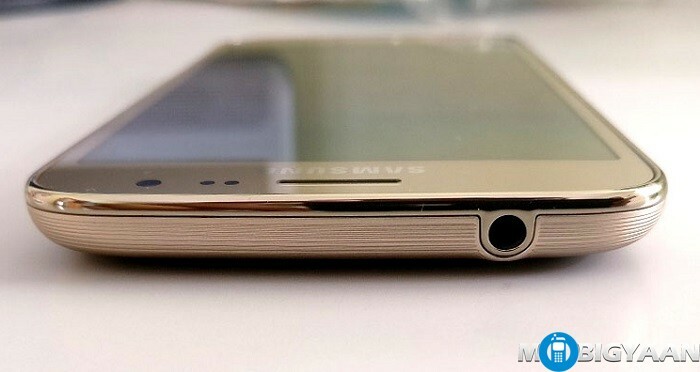 Most of the Samsung phones especially budget ones have the option to remove the battery. 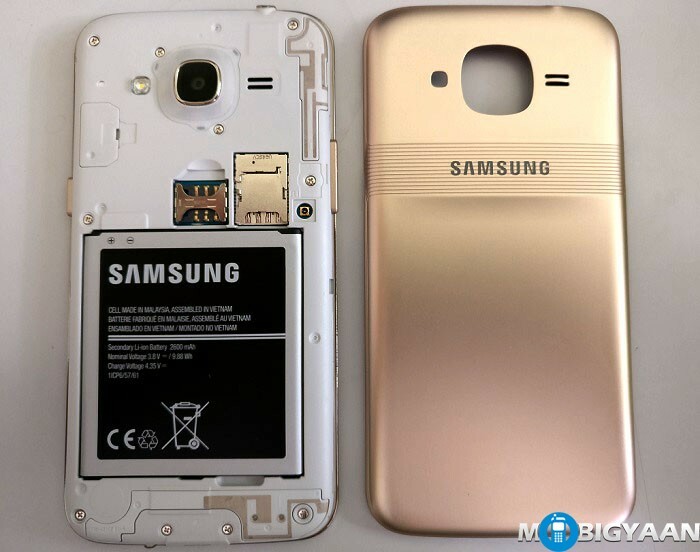 Since the Galaxy J2 (2016) is a dual SIM phone, you can insert two Micro SIM cards. It supports 4G network with VoLTE support. 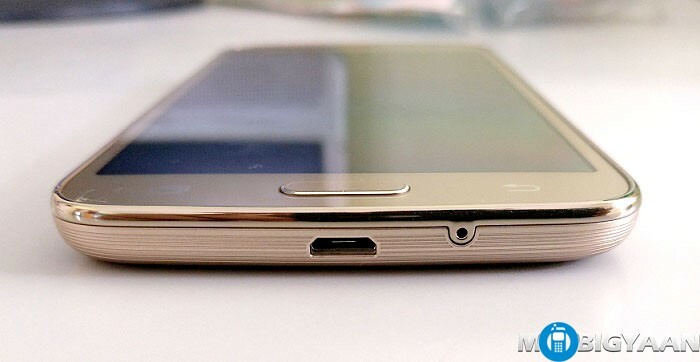 You also get a MicroSD card slot separately which can be used to expand the storage to 256 GB. Moving to the right, the handset incorporates a power button only. The volume rockers are on the left side. The top has a standard 3.5 mm audio jack and you have a microphone and the Micro USB at the bottom. Furthermore, the Samsung Galaxy J2 (2016) runs on Android 6.0.1 Marshmallow. The interface is updated and you have this new design of the TouchWiz that has been seen on the Samsung Galaxy S7 and S7 Edge. 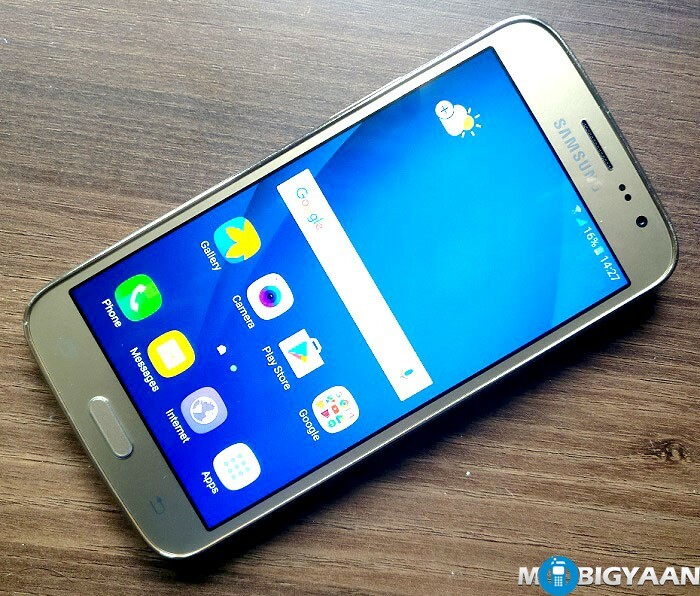 I don’t see how Samsung Galaxy J2 (2016) could outlast the big competition from these Chinese manufacturers, perhaps these features like Smart Glow can make it stand out and give it a nice hold in the budget segment. 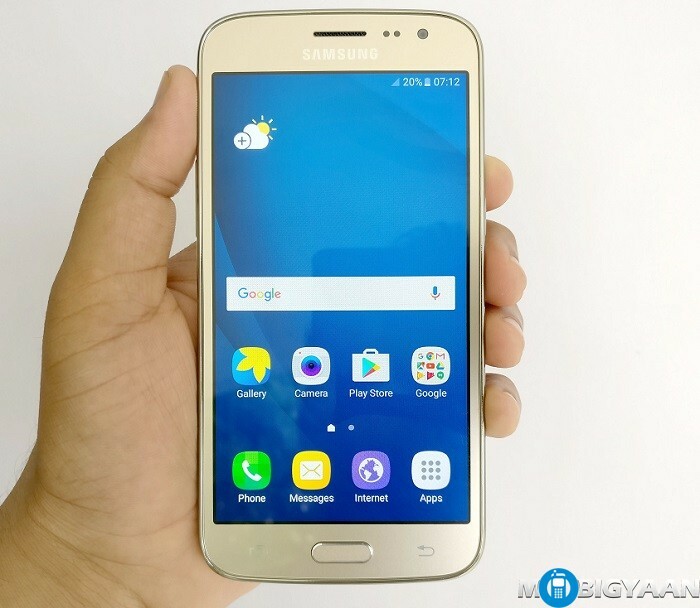 Did you like the new features such as the Smart Glow on Samsung Galaxy J2 (2016)? Share us your views below.